Cupid's arrow will strike true with the Kate Spade New York® Romantic Rocks Open Hinged Cuff Bracelet. Gold-tone plated brass metal arrow cuff with red and clear cubic zirconia accents. 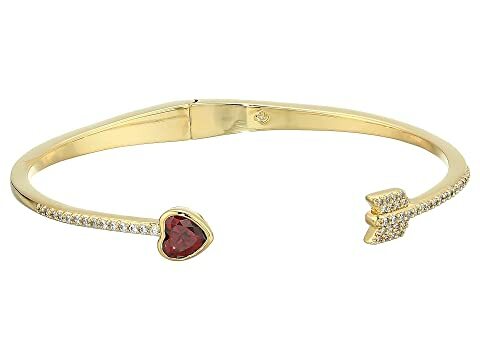 We can't currently find any similar items for the Romantic Rocks Open Hinged Cuff Bracelet by Kate Spade New York. Sorry!